Kelly-Marie Stewart is well known for playing the loveable Hayley Ramsey in hit Channel 4 continuing drama, Hollyoaks but more recently she has lent her voice to brand new character Rubi Von Screwtop, the group’s techno-whizz and budding inventor, in the legendary Beanotown joined by an all-star cast in the highly-anticipated TV series Dennis And Gnasher: Unleashed. The new series hit CBBC screens in 2018 with enormous success. Kelly is the proud mum of Daisy and Olivia and in August 2015 she defied doctors by walking down the aisle after being told she wouldn’t walk again due to her diagnosis of Guillain–Barré syndrome – an autoimmune disorder affecting the peripheral nervous system. 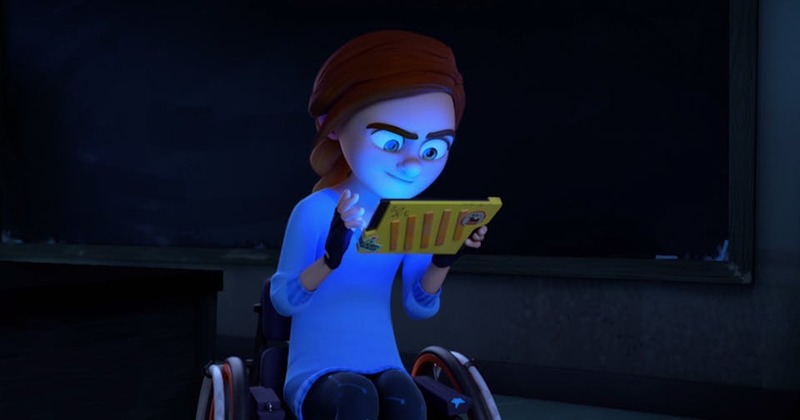 There are currently a number of television projects in the pipeline for Kelly including a pilot video documentary called Invisible Mums, highlighting the struggles and difficulties of being a disabled mother. She is also the official ambassador for the Muscular Dystrophy Campaign and a patron of Disabled Parents Network.